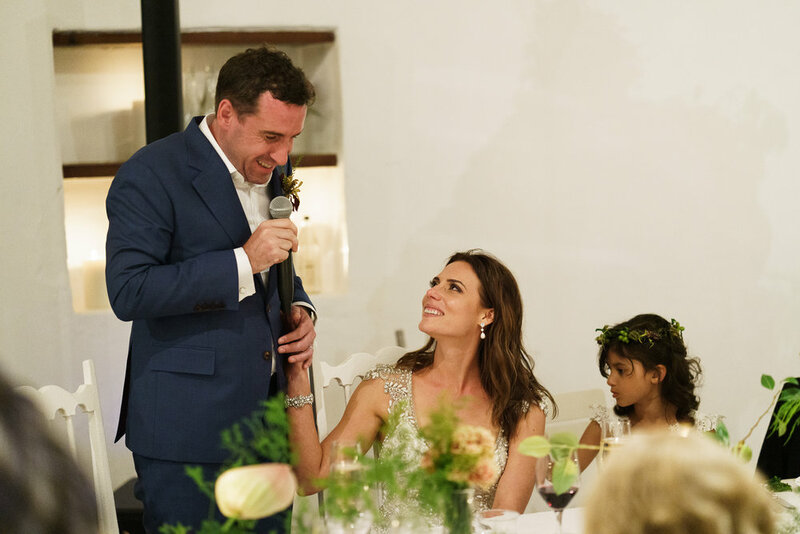 The Love Story… Our love story began at a Formula 1 party, one of Singapore’s biggest nights of the year. We had already known of one another for a few months but nothing more than just colleagues who worked together at Deutsche Bank. Everything changed that night when, with a little encouragement from close friends, and probably some of the free flow champagne, we started talking and haven’t stopped since. Meet the happy couple… Toby and I live in Singapore and both work in banking. I’m American but grew up in the Philippines and after completing university in the States it felt natural to come back to Asia to start my career. My brother and his family also lives in Singapore and my parents live in Shanghai so it was an easy adjustment to get my life started here. Toby is British and work brought him to Singapore 11 years ago. Toby has 4 fun loving and charismatic boys who keep us on our toes most of the time. We have been together for almost 7 years and moved into our house 3 years ago creating our own modern family complete with two cats. As all good love stories go it has been a rollercoaster and we wouldn’t want it any other way! Planning the wedding… We knew we wanted to have a destination wedding and randomly chose South Africa. My parents and brother lived there before I was born and I grew up gazing at photos and always fantasised of visiting. 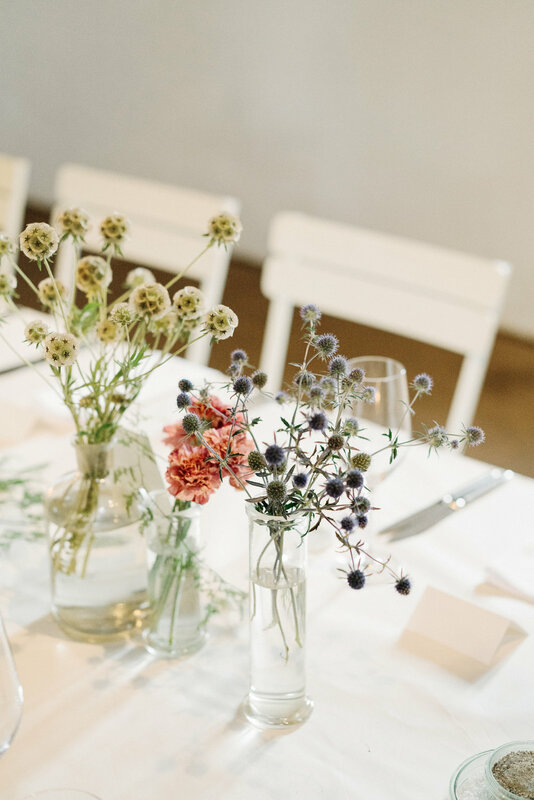 Planning a destination wedding from the other side of the world wasn’t easy but we had an excellent wedding planner who works for Babylonstoren. 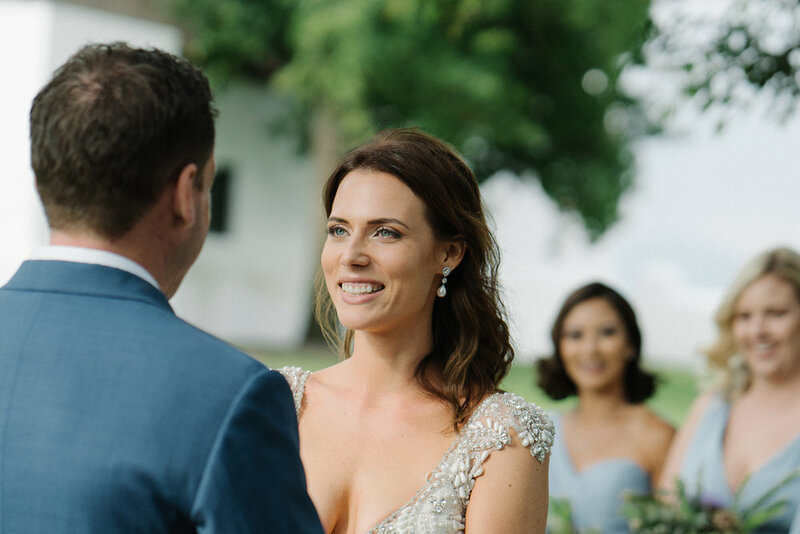 I like to be in control and am fairly organised, while Toby is much more laid back, so it was the perfect combination to plan a wedding as we were able to balance each other out. 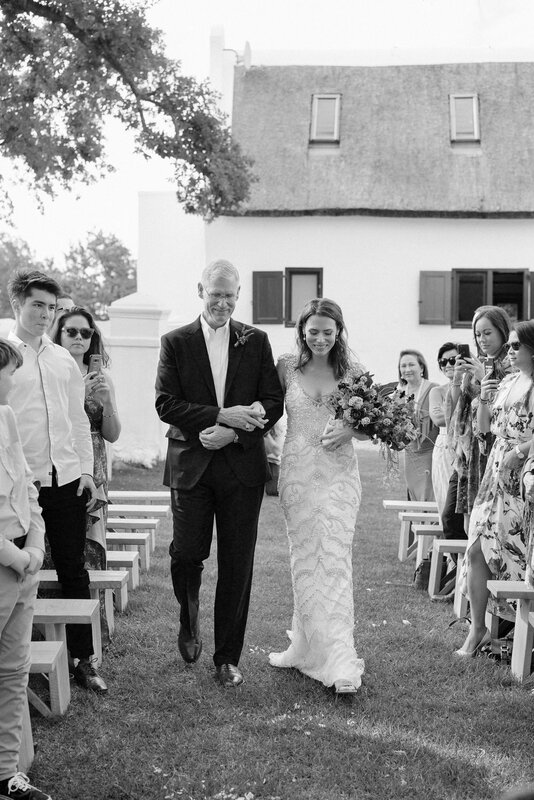 It really was a dream to have our wedding at Babylonstoren. 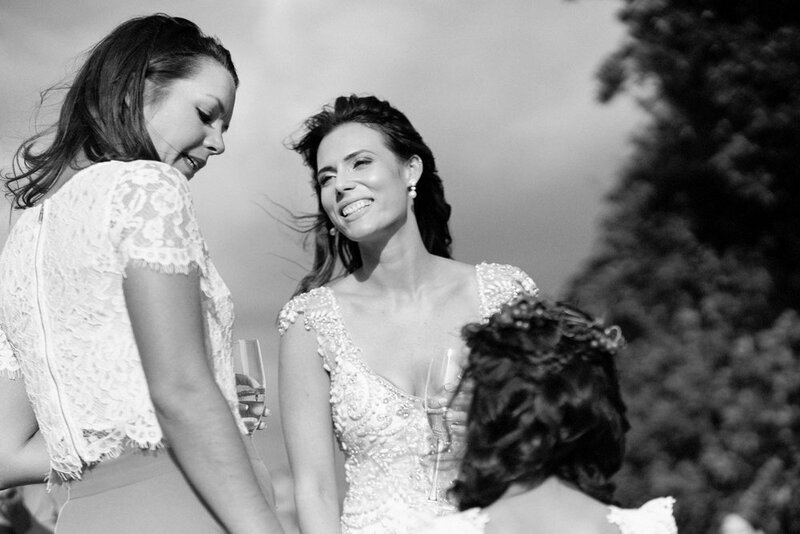 It felt like the perfect romantic fairytale wedding I always imagined having. The proposal… While on a walk after dinner, Toby got down on one knee and proposed – in the very same place we had first met at the Formula 1 party. I was speechless and in tears, I of course said yes but had to sit down immediately afterwards to let it all soak in! Finding Anna Campbell… I had never heard of Anna Campbell until after I got engaged and started looking for wedding designers online. I was after something no one had seen before. Anna Campbell’s vintage inspired and unique gowns drew me in immediately. 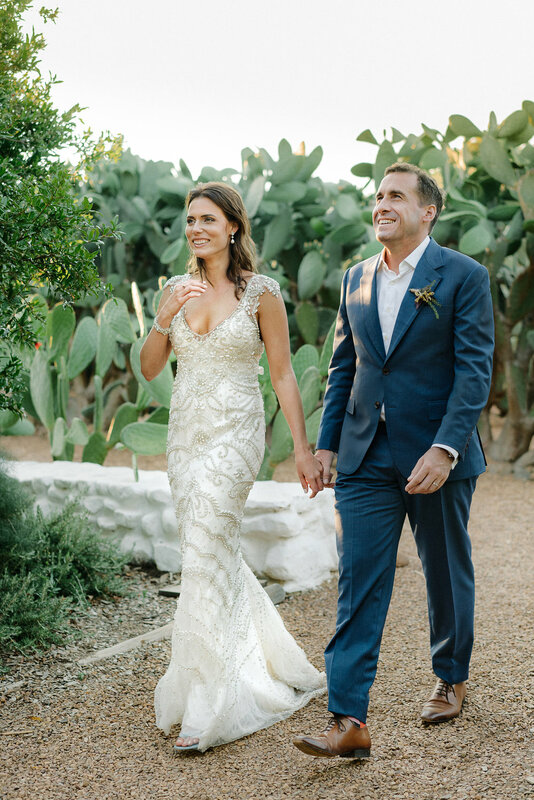 When you knew you’d found ‘the one’… I knew the embellished ‘Raine’ gown was the one the minute I saw it online. Although I had my eye on the ‘Ruby’ and ‘Alyssa’ gowns, I knew in my gut that ‘Raine’ was the one for me. I found myself staring at photos online and getting lost in the silk, pearls and crystals. The v shaped neck and way the dress effortlessly hangs from the body is just stunning. Shopping at Frieda Brides… I purchased my dress in Singapore at Frieda Brides. My stylist was Nat and she was so lovely. 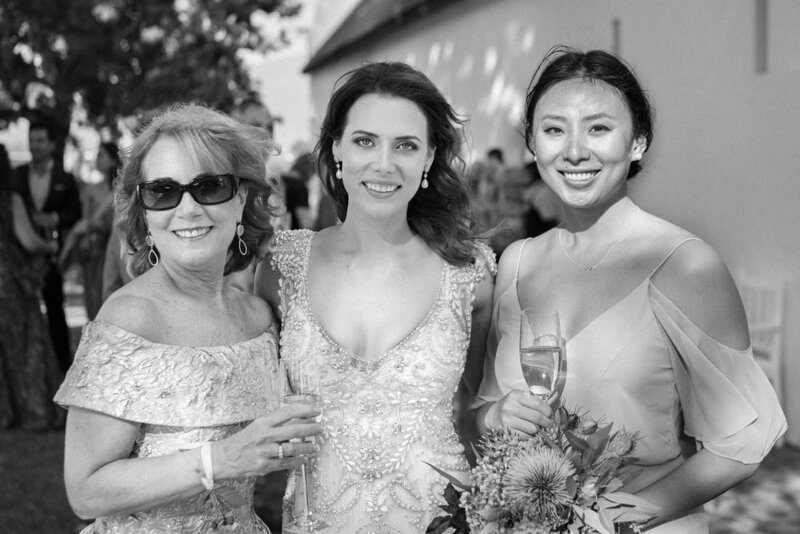 I brought my mom and maid of honour to my first appointment and it was such a special moment. 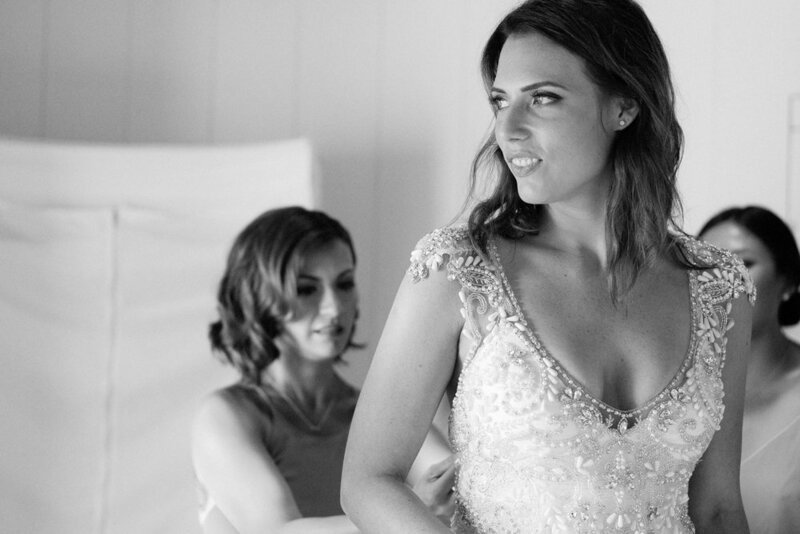 Seeing the expression on their faces as I walk out with ‘Raine’ on gave me that true ‘bridal’ moment, and solidified by decision to say yes to the dress! On the day… During our photo shoot after the ceremony, Toby and I took the opportunity to just be together and take in the moment. I remember feeling happy and relaxed, like everything was happening the way it was meant to. The funniest thing to happen was Toby got sunburnt the day before the wedding playing golf. Admittedly, I didn’t think it was too funny at the time but after several layers of aloe vera it subsided and wasn’t noticeable on the wedding day. Now it’s something that we think back on a chuckle about. Favourite element of the Raine Embellished… Everything. There isn’t a single element of my dress that I didn’t love. 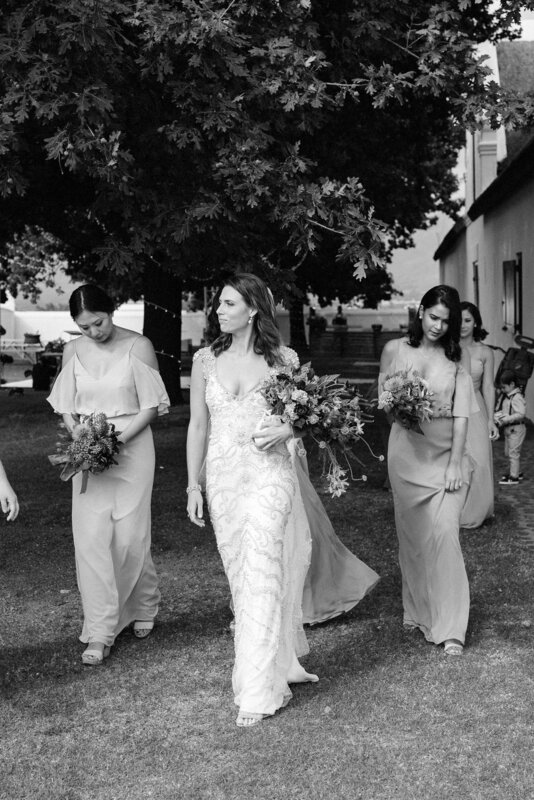 From the capped sleeves, to the v cut neck line, to the elegant bow in the back, to the soft beaded train, to the way it sparkled in the sun – I honestly loved everything about my dress! 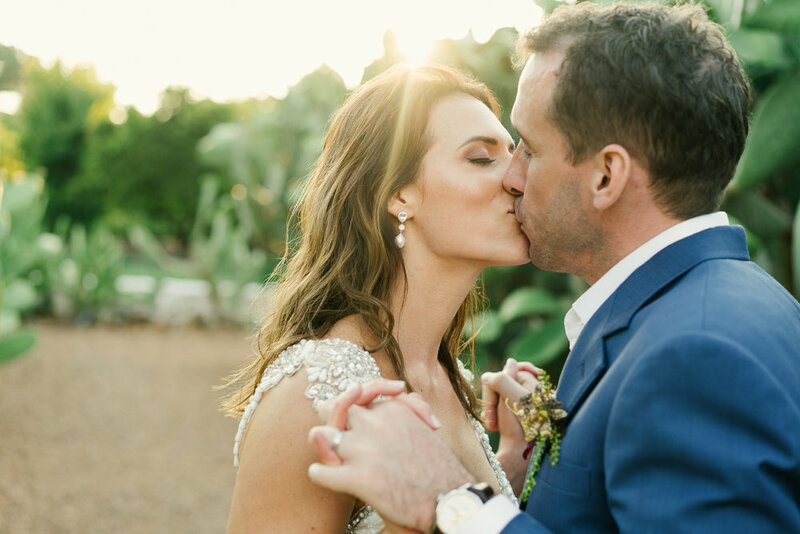 Pearls of Wisdom for future brides… It is crazy that you spend months and months planning and dreaming about your wedding, but the day flies by in a second! Steal some time away with your husband to appreciate the moment. 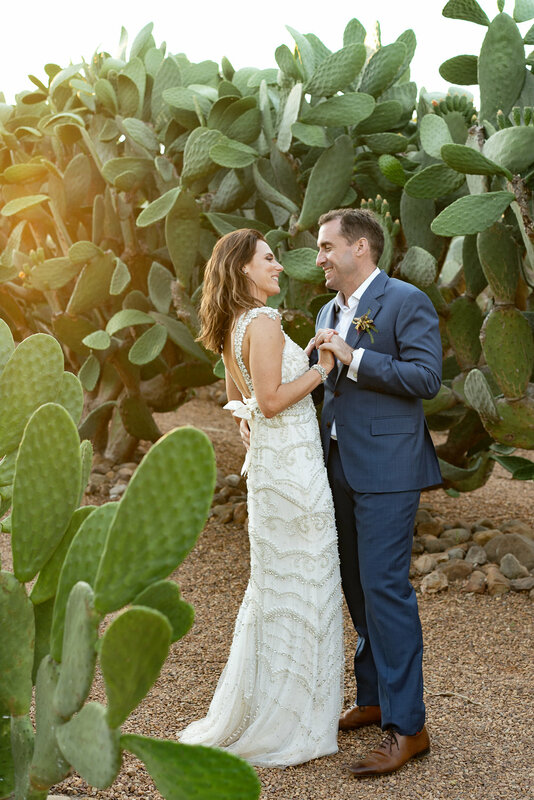 Venue: Babylonstoren | We wanted to have a unique destination wedding that we knew our family and friends would love. 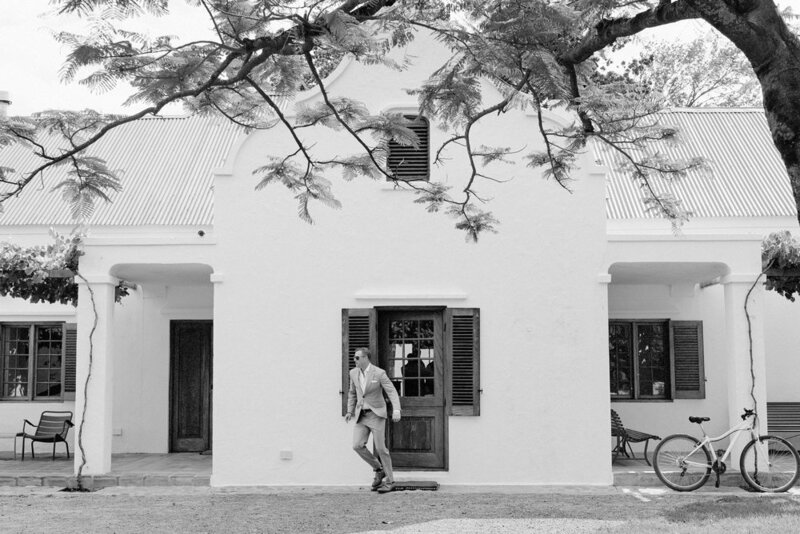 Being lovers of food and wine, we found Babylonstoren to meet all of our wishes and more. Babylonstoren is situated on historic Dutch farmlands with breathtaking with views of the mountains. All food is served farm to table and all meals were beautifully vibrant and fresh. They produce their own wine and are a farm stay hotel so our guests could easily stumble back to their rooms at the end of the evening! Florist: Babylonstoren. 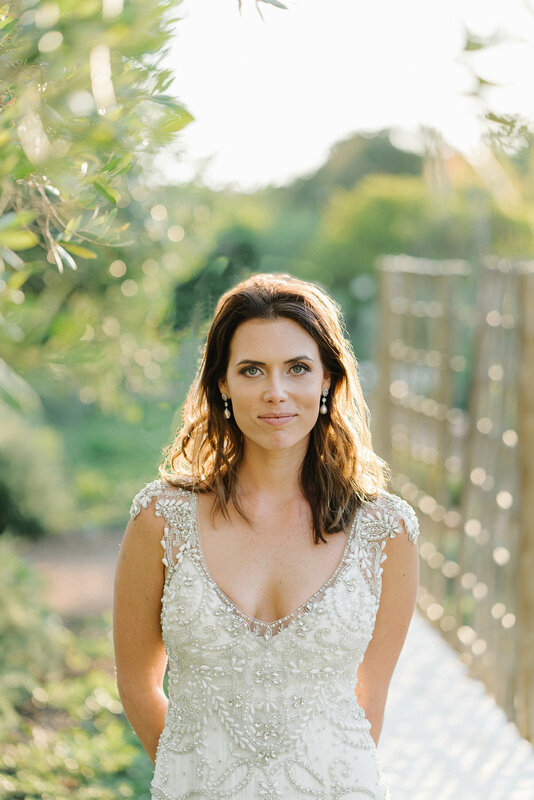 All button holes and bouquets were freshly picked from Babylonstoren’s garden the morning of the wedding day. Celebrant: Toby’s sister performed our ceremony but we were legally married a few weeks before the wedding in Singapore.